Lately box subscriptions have become a very popular phenomena, you can get almost everything this way: food, make-up, cosmetics, even clothing… so why should pet goodies be left behind?… well… they aren’t, not anymore! 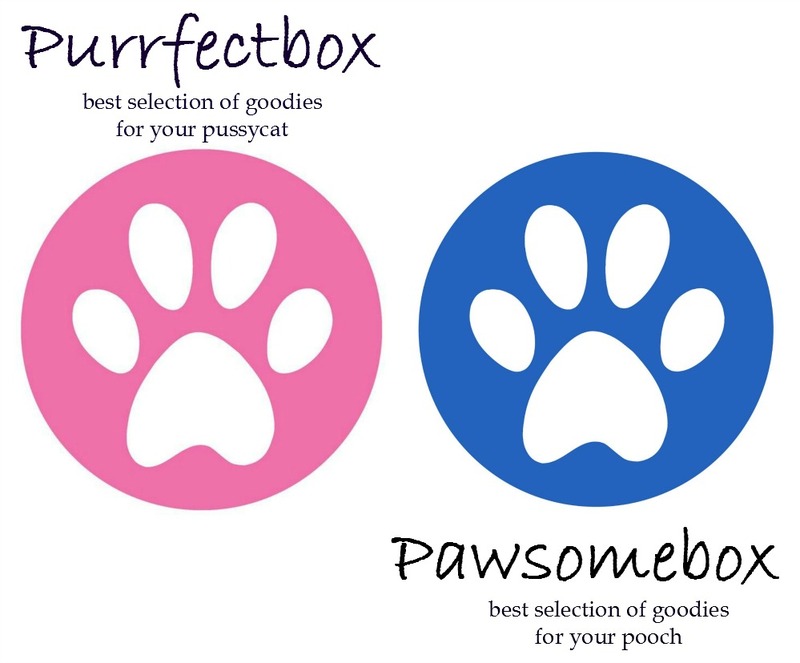 Purrfectbox and Pawsomebox offer a box subscription for your cat or dog respectively. 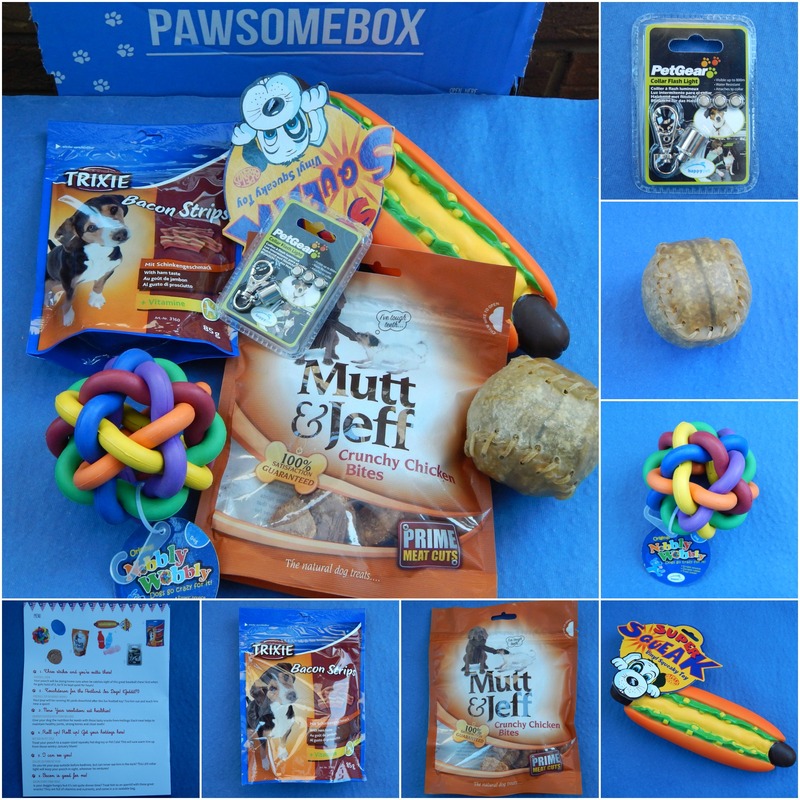 Every month you get a lovely box delivered to your door packed with goodies suitable for your beloved pet. The boxes aren’t totally personalized but they do take into consideration the breed and size of your pet. If you want to order just one box or don’t like making long term commitments, each box will cost you £19.90 but if you were to subscribe for a year, the price drops 20% making each box only £15.90 (this price includes delivery charges). Looking at the prices yes, both boxes offer good value for money and savings comparing to the cost of the separate purchase of each item included in the box. But this isn’t just about prizes and savings. For me these boxes are treats for my little guys. We all treat our pets (at least I hope so) and sometimes it is nice for someone else to make a treat choice for you. It is not because I am lazy and don’t want to go to the pet store, it is simply due to the fact that I personally can learn something, I can discover new brands I’ve never heard of or some product I would otherwise never came across. Looking at the content of two boxes I shared with you above, we will use most of the items included. The food and treats will get eaten for sure, as for the toys… we have banned all squeeze toys that squeak from the house, so there is no way my guys are getting their paws on this Hot Dog! But as we have a lot of friends with dogs, I am sure one of them will get on our “black list” soon enough and we will have the perfect gift for them next time we see each other – an annoying squeaky toy 😉 (ooh I feel like an evil villain plotting my sweet revenge). My favourite item from our January cat box is: The bathing Mitt from Sonicat, simply because I’ve never heard of this product and I am really keen on trying it out. As for our doggie box it will be without doubt the Collar Flash Light. We have a few similar lights like this already but they are getting lost from time to time so having a spare one will defiantly come in very handy. Do you like the idea of pet subscription boxes? I hope you do because if so, you will have a chance to win 1 of 5 boxes for dogs or cats depending on your choice. 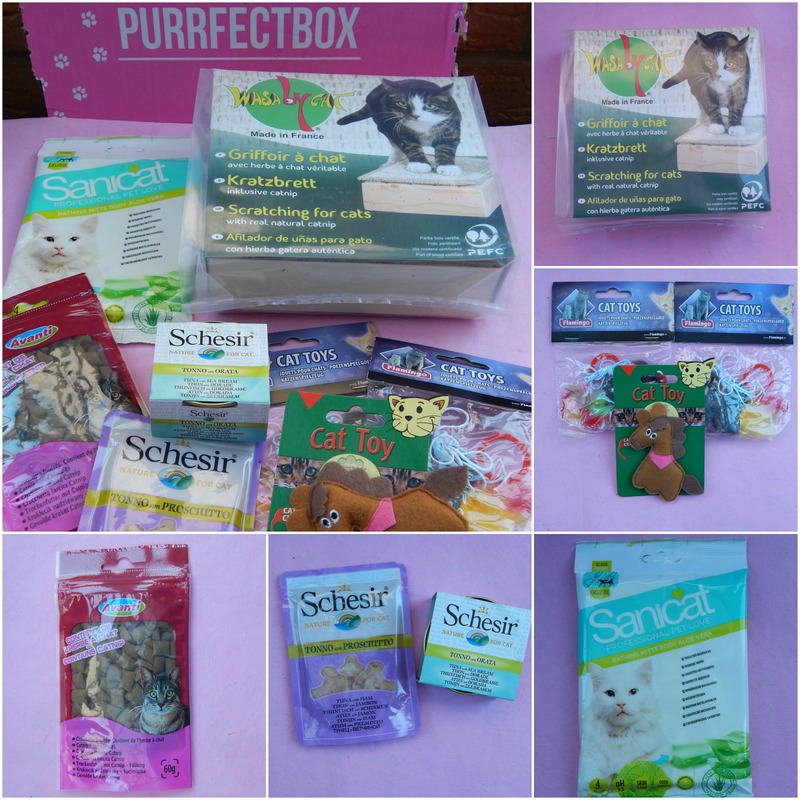 All you have to do is follow me, Purrfectbox and / or Pawsomebox on Twitter, RT the giveaway tweet and tweet us with a hashtag #purrBT if you want to win a a kitty box or #pawBT for a doggie one. If you own both, cats and dogs, and you can use both boxes, you can use both hashtags in your reply. 2. One obligatory entry per reader – follow me Purrfectbox and/ or Pawsomebox on Twitter RT the tweet as stated above and tweet us with a hashtag #purrBT for a cat box or #pawBT for a dog box. 3. There will be 5 winners in total. 4. Each winner will receive one pet goodies box for either a cat or dog. The prize will be provided by Purrfectbox or Pawsomebox. 5. Winners will be picked at random and informed within 2 working days via Twitter. 6. Winners will have 7 working days to claim the prize, after this time, a new winner will be selected. 7. Closing date is Friday 6/02/2015 at 23:59pm, any entry made after this time will not be counted. Have 2 cats so this would be great. We are getting a dog on Saturday so this would be a great surprise for him. With a household full of pets, this would be great. Fun to treat our four footed family members. We do not have any pets but this is a great concept. Looks like they have a nice selection of items in the boxes. Interesting, these box subscriptions are certainly becoming very popular… People do love their pets so I can how this mite be enticing! My dogs would totally love this box. They can sniff out toys no matter where I hide them. Surprises are great…no matter the family member. My dog always knows when a package is for her. Such a great service. Love that service, right to your door just for the fur baby in my house. So cute and a great idea. Very fun! My puppy would love this!! She loves her toys. Thank you! I would love to win a pawsomebox for our chihuahua!